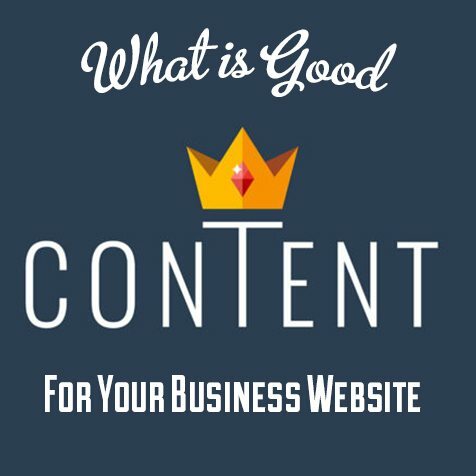 What is “good content” for your business website? Sadly, this post needs to be written. Mostly, because people have come to the conclusion that “Likes” and “Shares” and “Clicks” and “Views” and all those other “metrics” of success are what is easy to measure. There are only two things that matter: you can solve a customers problem, and they can find you quickly. If you can solve their problem and they can find you- you should be able to make money and continue your business venture. Which brings us back to the question “What business are you in?” which is another question that most businesses should know- but many don’t. On the internet you are always a click away from your competition- and at the mercy of Google for generating you leads. That’s why the “You gotta be on the first page of Google” is so important- because, you, me and everybody else usually picks their solution off the first page of Google. Understanding how Google works is really critical, and it’s one of the most important parts of our Websitetology Seminar. Anyone who tells you that they can get you organically (not paying for an ad) to the front page of Google for X dollars per month is selling you crack. You’ll get addicted- and while they may get you there for 10 search terms, doing your site right should get you hundreds of search terms. At least if you use WordPress as your Content Management System and fully understand what kind of content and how to post properly. When it comes to content- think about what you search for. Usually it’s to solve a problem- be it the “best price for business card printing in Dayton Ohio” which should take you to The Next Wave Printing, where 500 4/c 2/s 16pt business cards can be had for $13.50 plus tax from your press ready files. On my search, we come up 7th- on the first page. Which is great, but, the likelihood of us making a sale is kinda slim with all those other printers ahead of us. As usual, the cobblers kids need new shoes, and we should optimize better, but here’s the thing- we’re not primarily in the printing business. We’re an ad agency, that believes that much of the printing has become a commodity- and we’re using low printing prices as a way to attract clients who need a great full service ad agency in Dayton Ohio. The problem is, we just helped optimize the printing site for one term – “Best price for business card printing in Dayton Ohio” and you may have searched for “Cheap business card printing in Dayton Ohio.” Where we come in 2nd. As you can guess- there are a ton of search terms to optimize for – and all have different results. So, optimize away, but the real key these days is referrals, and recommendations. And if you didn’t catch it, we’re seamlessly and shamelessly posting referral links about another of our business sites in this post, with the hope you click on over. Building “link juice” or “google cred” is a part of the formula. Who links to you, how much traffic you get, how much traffic they get, is all analyzed as part of the algorithm that makes Google work. And remember, everyone gets different results from Google based on the personalized search history you’ve built. People often will ask their friends via Linkedin or Facebook- who has the best prices on business card printing in Dayton Ohio- and they may or may not know anything about your business and say we used “StupidCheapBusinessCards.com” for ours and they were fine. Nevermind Stupid Cheap prints on 100lb cover, charges $14,95 plus shipping. This is where companies start making mistakes- going into social networks and telling everyone “We have the best prices on Business Cards in Dayton Ohio” when the discussion is about a tax levy. You become noise, irritating, obnoxious, and sometimes- blocked. Making sure every business that uses you writes a review on Google Local, Facebook, LinkedIn or Yelp, Foursquare, Trip Advisor can help- some more than others, but, usually, the key is for your customers to spread the word for you. Making it easy to share the great value and service you provided is usually worth a lot more than just being at the top of Google. Which brings us back to what is the best content for your site? It’s useful posts that solve the customers problem- sometimes before they even realize they have one. Do you provide all your service manuals, instructions, ads, warranty information, repair and return policies, hours, locations, and anything else they may need to know in order to do business with you. Do you offer tutorials, how to’s and step-by-step content? You should. We looked at a site today for a local diner to find the menu to order carryout lunch. The site greeted us “Coming this spring” (it’s fall) and the “Menu” didn’t have prices. Not good. There were no reviews (probably a good thing- we thought the bread was mediocre, the chips run of the mill and the sandwiches were soggy). We hadn’t looked at reviews first, but, if any of our friends ask about this new place, we probably won’t suggest it. We also believe it’s much better to have people review you on your own site- instead of on one of those other sites, because you can address it easily (note- most of the review sites mentioned provide tools you can use to monitor and respond to reviews- make sure you claim your business.). If you still have questions about what is good content- it solves your customers problem, and it’s something that helps them find you. If you want a customized recommendation list for content generation, we’re here to help, or you can take the Websitetology Seminar and learn the secrets of best posting policies and how all this fits together. How do businesses leverage and benefit with Social Video? Old adage, well, not really that old… “Half the people read, half the people, watch TV (video) ~unkown. “Social videos need to be optimized for different channels.” This is because a video that may work on YouTube may need to be drastically reduced in length to be successful on Facebook or Instagram. And what works on those platforms might not work on others like Twitter or Snapchat. For Facebook you need to upload videos natively, instead of linking out, so you have a much higher chance of your video being seen by your community and/or fans. “If it’s prerecorded, social videos need to be shareable.” You can’t only think of the channel, you also need to think about shareability. How does your content connect with your audience, what traditional conventions for how it’s produced have you used, does your social video compel your audience to want to share the video with their friends or colleagues? “Live social videos need to be about authenticity and real-time engagement.” In today’s age of brand relationships you have to have a real connection with your audience, you have to really care about and address what need it is that they are trying to solve. No longer do consumers what the hard sell about your product or service, they know what they are looking for and want to know that you are a business that they can trust to solve that need in a honest way. Here are 5 ways that you can leverage social video so that YOUR BUSINESS can make money. Because social networks like Facebook are now favoring video in their algorithms, you have a unique ability to connect with viewers. Sakal News restructured their content strategy to reach a wider audience by sharing interesting, relevant, and authentic content. They increased their video post frequency from 3 to 60 videos per week, and reaped the rewards with their views jumping from 333K in march to 10.5M video views in June. This equated to a 4x growth in reach since February. Be careful though, “while the Facebook algorithm is a definite positive for video, it will punish businesses and video creators who produce bad, lazy, or unoptimized video…… Don’t think of this as a punishment as much as an incentive to only share high quality content- something you should be striving to do anyways”. Social videos can deliver impressive ROI, with “72 percent of businesses who use video saying that it has increased website conversion rates”. The important aspect here is that you have to SET GOALS and TRACK the success of your videos using analytics. It is only through tracking that you will definitively learn how your audience behaves, and this in turn allows you to refine and redefine your social video strategy. Use social video to lift the behind the scenes veil of your business or company. In doing so you humanize your business, and it can also be a very effective way to attract not only new business but new talent as well! Leverage the interactivity of social videos for lead generation. Make sure you include an effective call-to-action to clearly tell viewers what you want them to do next. For Facebook you can create promotions that have a CTA (call-to-action) button below the video. YouTube allows you several different options for linking out from videos including overlays on the video itself, non-intrusive and timed callout bubbles, and including links in the description. “How-to videos” are amongst the most popular search queries on YouTube. Don’t assume that your customers intuitively know how to use your product. If they can see a video that demonstrates how-to use it in general or a feature, then you are providing value to your customers, solving their need and showing that you care enough to help. How-To video’s can also be used for brand awareness by offering help in a related topic. Why do you have to optimize your video for different channels? However, if we just stick it in Facebook- it won’t have captions, it won’t autoplay in the scroll, and although you can share FB videos outside of Facebook- they don’t always allow people without Facebook accounts to see them. Facebook does this on purpose- to make sure you stay on their site. Make sure that your video has captions so that people can watch at work, without getting caught. If you place your brand and message in the first 5-10 seconds of your video, people are 3X more likely to engage with it. Make sure that you know which platform your target audience is active on. Do this by initiating small tests on all the platforms and using tracking see which one/s drive the best results. Since half the people read and half watch, are you creating half your content as video? Remember, Youtube is the second most popular search engine after Google. Talk to us at The Next Wave for a systematic, customized and successful strategy for your social video needs. Do you know we also offer printing at fantastic rates? Talk to us today! Interested in learning more about the internet and how to use WordPress to successfully promote your business on the web? 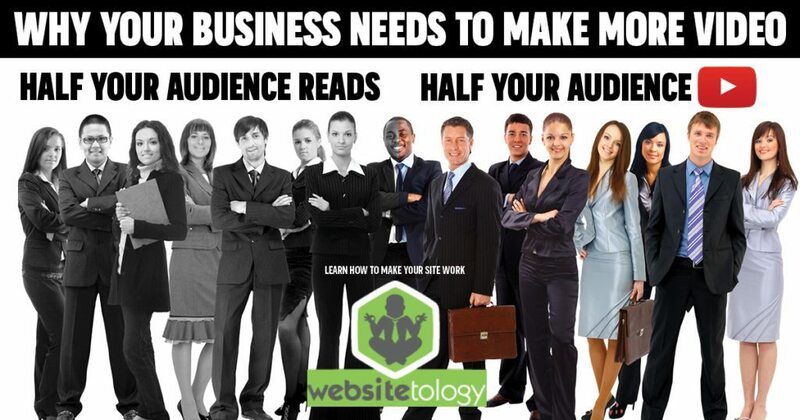 Check out our live Websitetology 1 day class, where we help you become a master of the internet! Automattic is changing everything WordPress, or not. If you use WordPress to manage your content online, you’re smart and far from alone. Stats say that somewhere around 28% of the web we use is running on WordPress right now. The thing is, many of you have no idea you are looking at it when a master developer builds a site. The secret sauce of WordPress is that the content, the stuff that brings visitors to your site, is in a database and separate from the presentation- the theme, the way it all displays. This is what makes things super easy to manage and maintain, and to format the output for any size screen and device. The part that makes Google search such a big fan is that the content is organized nicely using the four main tools: Posts, Pages, Categories and Tags. 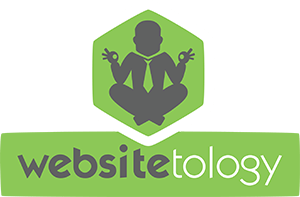 If you’ve taken our Websitetology seminar, you fully understand why most of your site should be using posts- in really well organized and thought out categories. If you haven’t taken our seminar- you should sign up. However, there are a few big changes coming on the horizon to the World of WordPress- both from the top, the people who built and maintain this open source tour de force- Automattic (named for Matt Mullenweg, the guy who proved you can get rich giving something away that you don’t own). So, you say- there are only a few pieces that are paid- I’ll jump in. However, that’s the beginning down the slippery slope to letting someone else control how your site works and see everything you do. We’ve avoided it for years- instead using tools from third parties. The newest release of Jetpack gets its own site- Jetpack.com and looking at the business side (since we do WordPress for business as our bread and butter) you start seeing that it’s almost as if you are buying hosting from Automattic too- which isn’t a bad thing, until things go wrong in a big way, and the support just can’t deal with their scale. Automattic has been doing their VIP hosting for a long time, so they probably are pretty solid at this now, but, we’re still a little wary, and frankly, the price is pretty steep. You don’t need access to hundreds of premium themes- you just need one good one. No matter what, the push into hosting smaller business sites and offering their own sets of tools, could be seen as direct competition with the entire ecosystem that has been built around WordPress. One of the key reasons WordPress has been so successful is the thousands of businesses that have been built on the platform- from theme and plugin developers to hosting firms and web developers. What? Moveable type presses? Nope, a new way of editing text outside the standard text block editor that is the default. In other words, a builder- much like many of the builders that come with premium themes. There are plenty out there- we’ve gravitated to using Divi from Elegant Themes– which is both plugin and visual site builder/theme- but there are plenty of others. What does the coming of Guttenberg mean for some of us? We’re not entirely sure. The Customizer was the first Automattic attempt to provide an interim WYSWIG interface to WordPress- and it didn’t change anything. What we are seeing is Automattic reacting to competition like SquareSpace/WIX/Weebly – all of which are WordPress with training wheels for those who can’t be bothered with doing a website right. Guttenberg is still in beta and not ready for prime time. We’re waiting to see if it is in WP 4.9 or part of the major 5.0 release. In the meantime, you should be aware of the impending changes.